Introducing the SRAM XX1 Eagle AXS Group, the pinnacle of true wireless performance for your next XC or trail mountain bike. The SRAM XX1 Eagle AXS Group will be available for shipment April 2019. The SRAM XX1 Eagle AXS Group will be available for shipment April 2019. If you’ve peeked into the depths of the bike component manufacturer rumor mill, you’re likely to have seen little bits and pieces of riders like Nino Schurter riding what looked like a wireless mountain bike groupset from SRAM. Today’s the day: the new SRAM XX1 Eagle AXS groupset isn’t just a wireless groupset, but the latest from SRAM that has been battle-tested by the strongest riders around. Introducing the SRAM XX1 Eagle AXS groupset, the pinnacle of performance for your next XC mountain bike. The highlights are twofold here: the shifter, and the rear derailleur. The all-new shifter offers three buttons with touchpoints that are totally customizable to your preferences. Using the all-new SRAM AXS companion app, riders can choose from three functions: inboard shifting, outboard shifting, and a third button to use as a sprint shifter. The advantage here isn’t just shifting compatibility, but an easier touch of a button that allows riders to maintain a strong grip of their handlebars. Want to set your Reverb AXS remote on the left to shift to a higher gear, the shifter button in the right to move the chain to an easier gear, and the ‘secret sprint paddle’ to control the Reverb? you can do that too. The derailleur is revised here as well, with geometry that pushes the cage further forward for greater chain wrap around the cassette. 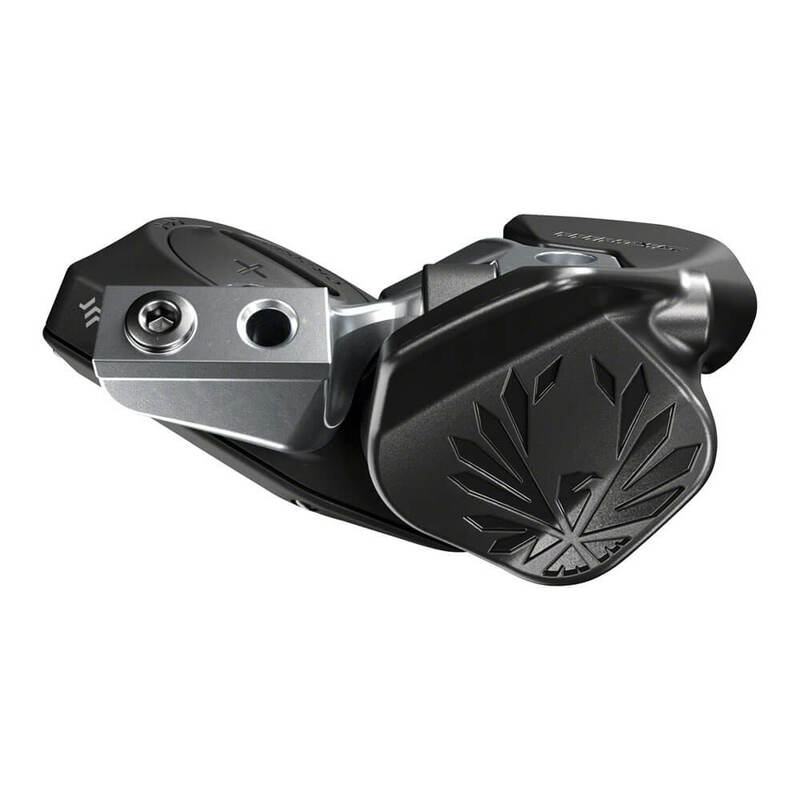 The new XX1 Eagle AXS derailleur is also brought further inboard to protect the motor and battery in an accident. 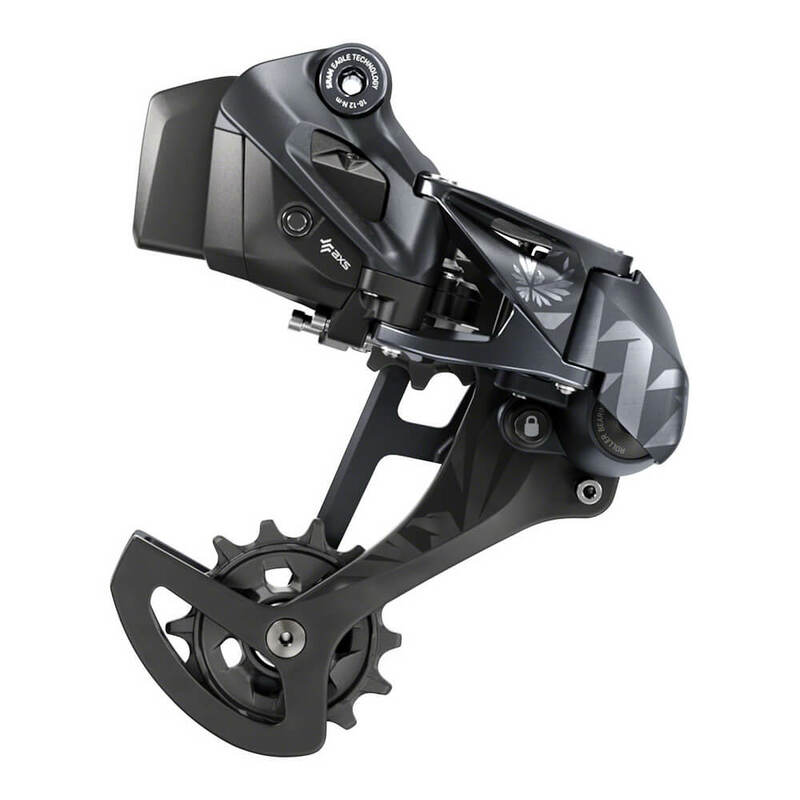 A shorter cage offers 10mm greater ground clearance, while the new Overload Clutch disengages the derailleur from the bike to not just protect the shift motor upon impact, but the bike’s derailleur hanger as well. Besides that, the SRAM XX1 Eagle AXS groupset shares compatibility with existing Eagle groupsets. 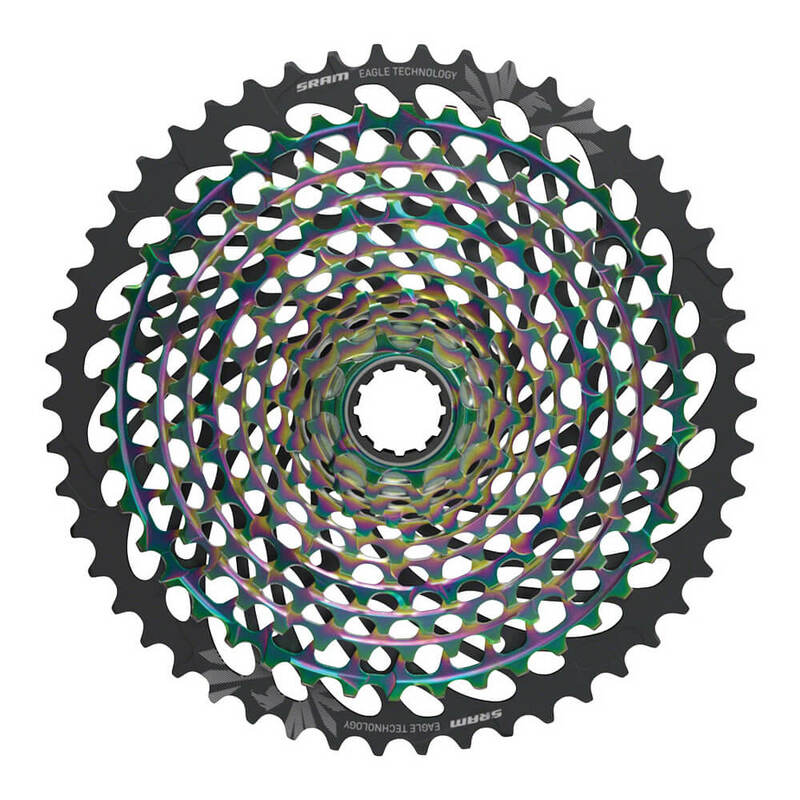 XX1 receives a carbon cage for its derailleur, titanium hardware hardware, and a new rainbow colorway that spreads to their chainrings, cassette, and chain. 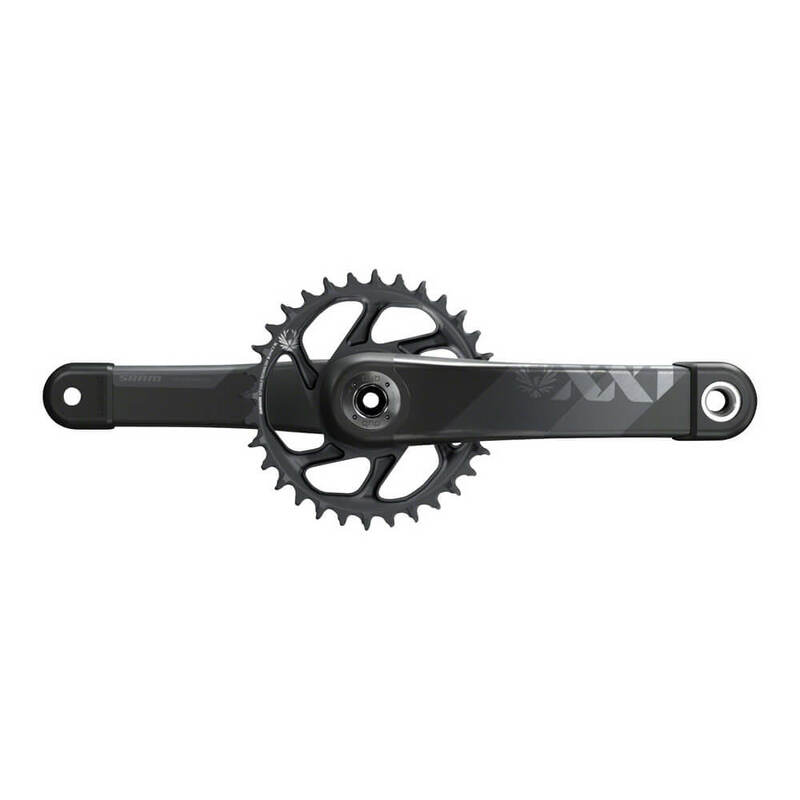 Chainrings feature X-Sync 2 narrow-wide technology, the cranks use their new DUB bottom bracket standard for greater compatibility across a range of bikes, and the cassette is the same XD-driver compatible cassette we’ve come to appreciate. 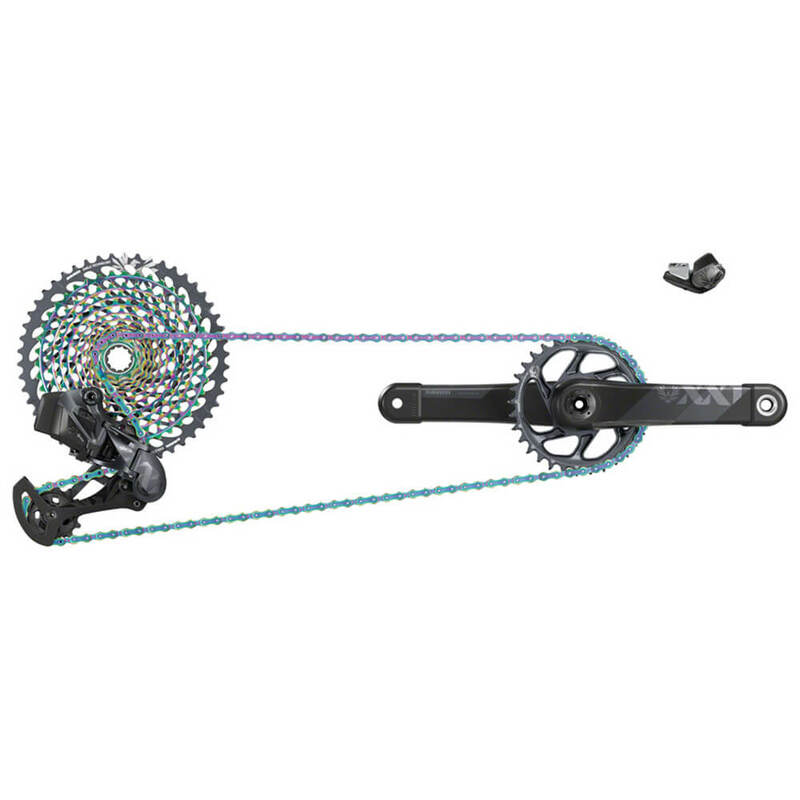 SRAM XX1 Eagle AXS groupset features an XX1 AXS rear derailleur, trigger shifter, DUB crankset with a 34t chainring, chain, XG-1299 10-50t cassette, and charger and cord. Different crank lengths and spacing for Boost and non Boost bikes is available. Have any questions about the SRAM XX1 Eagle AXS groupset? Send us an email to info@contenderbicycles.com, or give us a call during business hours. The SRAM XX1 Eagle AXS Group will be available for shipment April 2019.